Last week I spoke to the talents of fashion designer Oscar de la Renta. We are familiar with those who create “the look” but often we forget that there is another group of designers vital to the creation of fabric, be it for clothing, home furnishings or accessories, even industrial applications. These are the designers that create the fabric patterning. Today computerization has taken many tasks that were previously laboriously performed in the textile industry. While design studios rely heavily upon computer programs, there is, or should always be space for designers to paint, sketch and imprint their artist’s hand in the design. I recently purchased an amazing reference, The Collier- Campbell Archive. 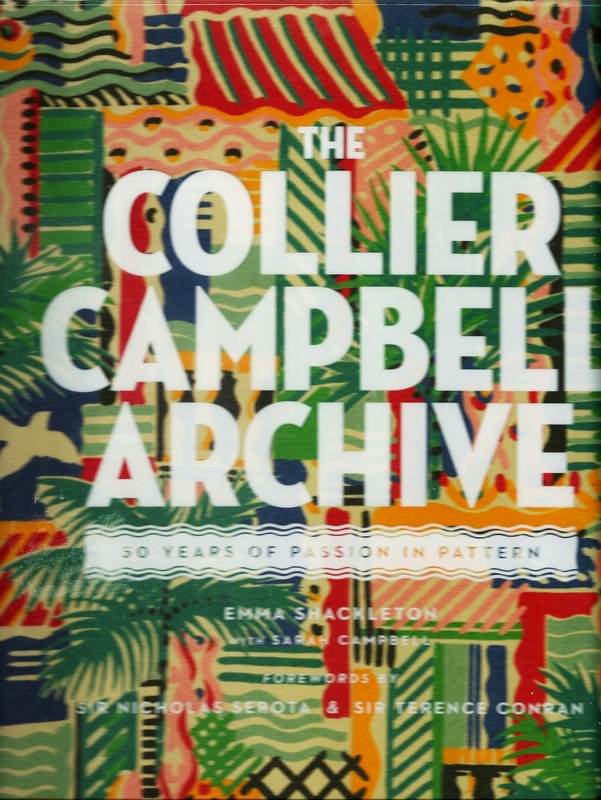 This beautiful volume tells the story of two sisters, Sarah Campbell and Susan Collier and their 50 year career in fabric design. Their career began designing for collections for Liberty, David Hayward and Jack Prince, and became design and color consultants for other design studios. In the late 1970’s the sisters founded Collier and Campbell in order to control their design rights and the quality of the fabric and printing. Their story is told in three parts: The Collier-Campbell Story (their history), The Creative Process (their methods and themes) and The Gallery (their designs and patterns). The color plates throughout are stunning and offer inspiration for any student of design, artist or textile lover. If you get the opportunity to peruse this collection you will understand my enthusiasm.